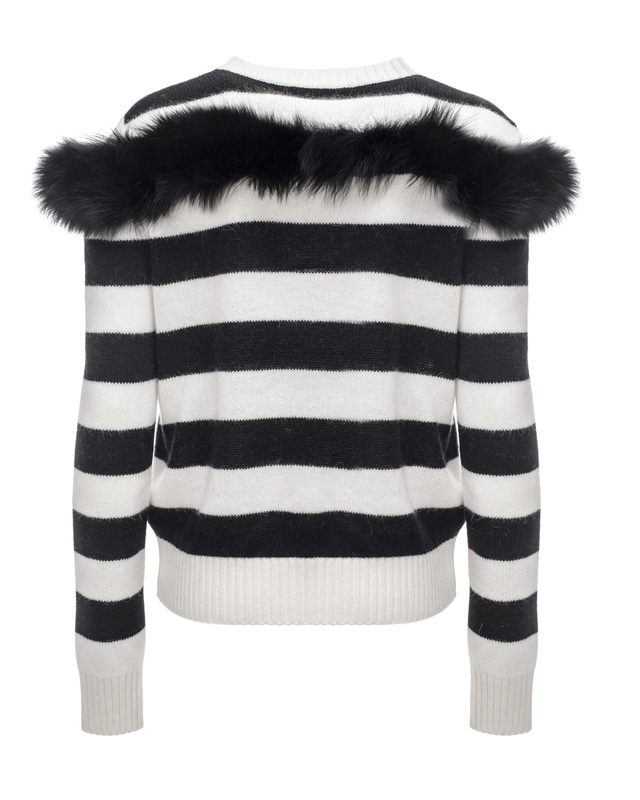 White-and-black striped sweater with fur inserts. 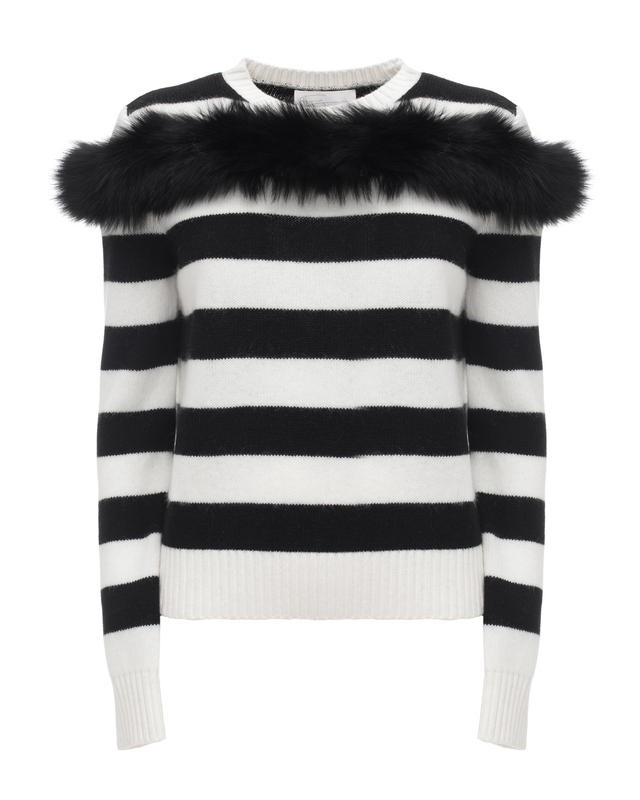 The sweater's black and white striped pattern are broken up by a band of luxurious black fox fur. The long sleeves are cinched at the wrists with a ribbed motif that is repeated at the waistband.